"The New York Public Library have made available online, free from all restrictions, high resolution copies of more than 20,000 historic maps. 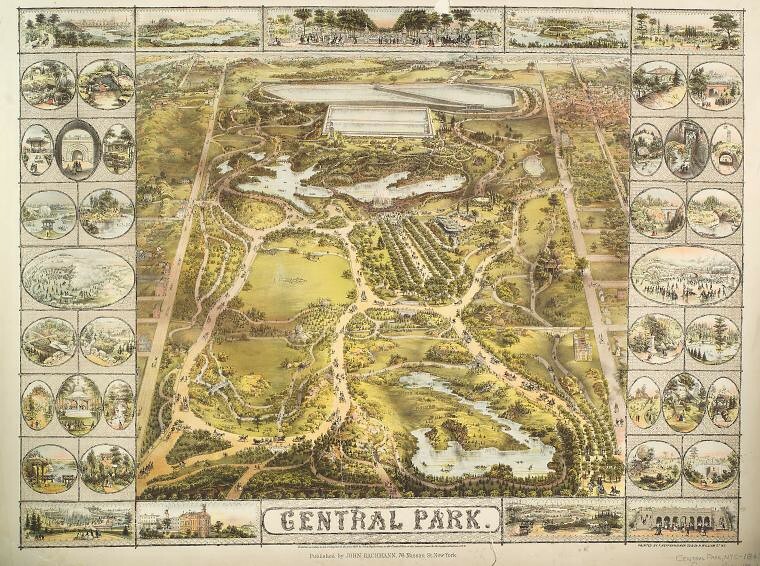 Containing maps from the 16th through to the early 20th century, the collection focuses mainly on the United States, particularly New York, but also features maps from other countries. The images of Manhattan and surrounding boroughs offer a fascinating snapshot of the development of one of the most densely populated areas in the world. The maps can be viewed through the New York Public Library’s Digital Collections page, and downloaded, through the Map Warper – a wonderful project which aims to make historic maps viewable as overlays on modern maps."